It's a mystery to me, but for some reason chocolate hazelnut spread is becoming more and more popular. 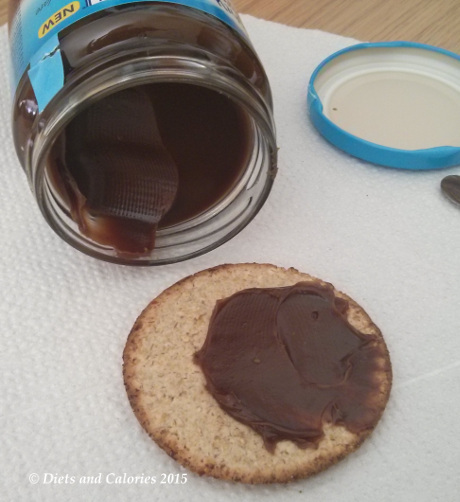 For a while now, Nutella has stood alone catering for the chocolate spread lovers. But no more. Now there's competition from other brands, with one of the latest coming from Weight Watchers. According to Weight Watchers, their hazelnut chocolate spread contains 66% less fat than its counterparts. It also has fewer calories. But what does it taste like? 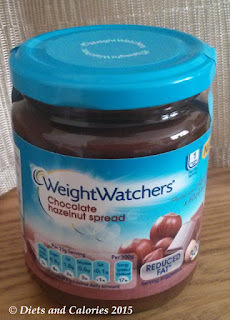 I spotted this jar of Weight Watchers reduced fat chocolate hazelnut spread in Poundland. The only reason I picked it up was purely for review purposes and to see how it compared nutritionally with the original Nutella. My kids adore Nutella but they only ever get to eat it when they're staying at friend's houses. I can't contemplate the idea of spreading chocolate onto toast or whatever. 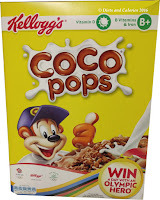 That combination spells disaster for insulin levels as well as being calorific and unhealthy. But on this occasion, I’m going to let their taste buds be the judge of whether or not Weight Watchers Nutella alternative is worth the swap. 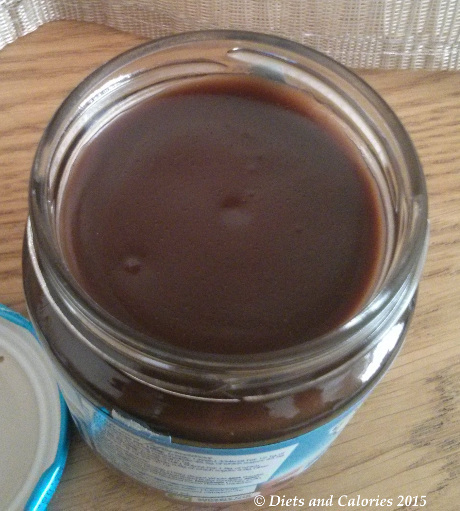 Opening the lid reveals a smooth plastic-like paste. 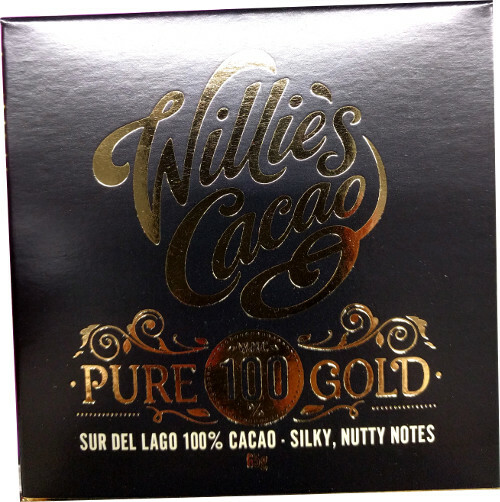 There's a faint whiff of what might be called chocolate. I can't detect any nutty smell at all. Dipping the knife in, the spread is totally smooth and it glides easily onto an oatcake. I'm afraid it doesn't tempt me. I tried a bit, but it simply doesn't taste like real food. So it looks like Weight Watchers score lower on the fat, saturates and sugar and slightly worse for protein. But those figures aren't that significant. You'll save around 30 calories per tablespoon by opting for the Weight Watchers. And how about the ingredients? As you will notice from the lists below, Weight Watchers has a load more ingredients. And unfortunately, both products list sugar as the main ingredient! Hazelnuts only make up a tiny proportion – 10% for Weight Watchers and 13% for Nutella. If calories are a big concern, then Weight Watchers will save you a few. But if you’re after a nuttier taste, then Nutella wins. I threw the jar away. 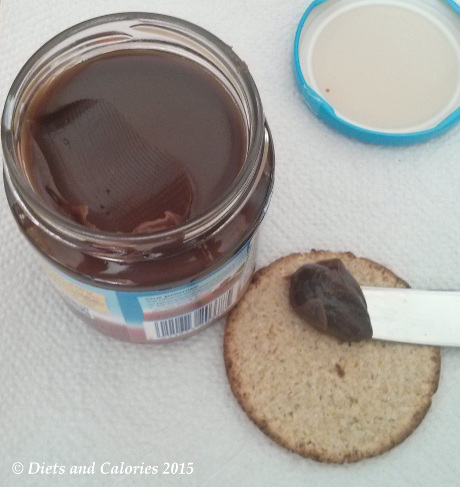 For those that love Hazelnut spread, it's really quite easy to make it yourself. There are loads of recipes online. Here's one of the healthier versions: Easy Vegan Nutella. Ingredients Weight Watchers: Sugar, water, milk chocolate (15%) (sugar, whole milk powder, cocoa butter, cocoa mass, concentrated butter (contains milk), emulsifier: sunflower lecithin), dextrose, hazelnuts (10%), inulin, skimmed milk powder, fat reduced cocoa powder, thickener: modified maize starch. Suitable for vegetarians. 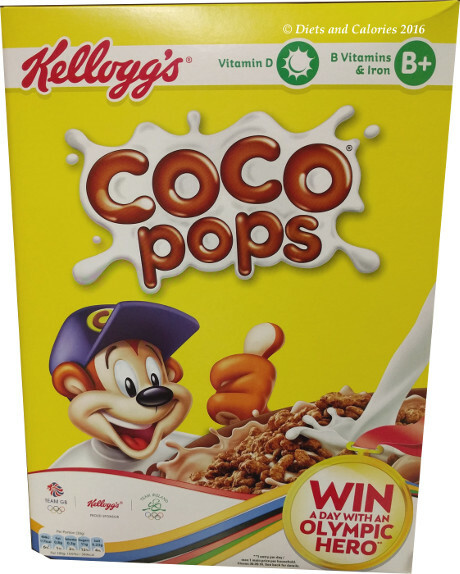 No artificial colours, no artificial sweeteners. Nutrition information per 100g (Weight Watchers): 334 calories (50 calories per 15g serving – a tablespoon) - 1 ProPoint per 15g, 4.6g protein, 45.5g carbs, 45.5g sugars, 12.1g fat, 3.9g saturates, 0.1g salt.